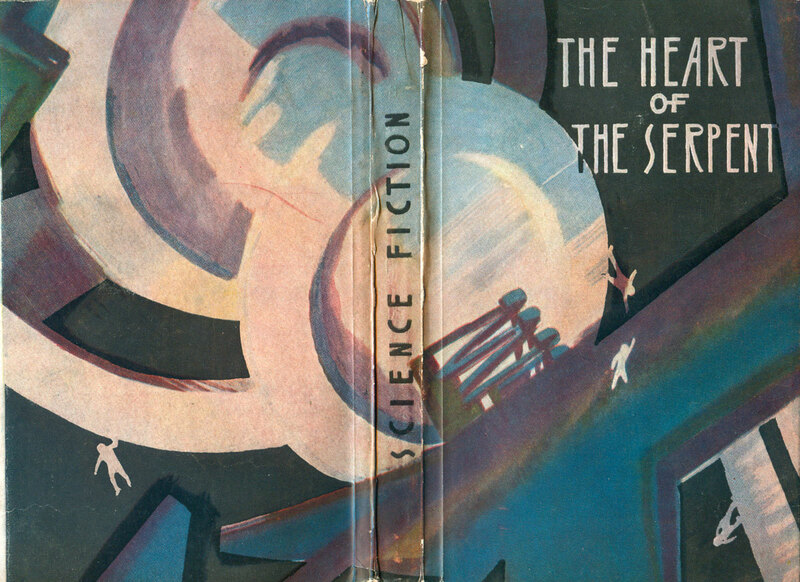 Finding the Science Fiction Book Club covers (see last week’s post HERE) got me thinking about abstraction as a representation of Sci Fi, and I started digging around for other abstract science fiction covers. I have yet to find almost any gracing US books. I found the E.R. Eddison book above in Pittsburgh back in early February and I thought I had discovered a string I could pull on to find a treasure trove, but almost nothing else has come along. 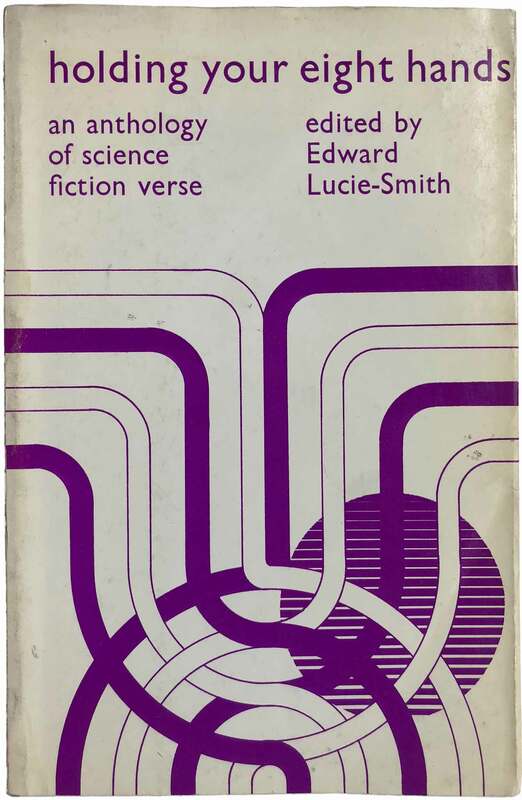 The Eddison book is part of a small set of Sci Fi/Fantasy novels published in the 1950s (thorugh the 70s) by Crown Publishing under the “Xanadu Library” imprint. 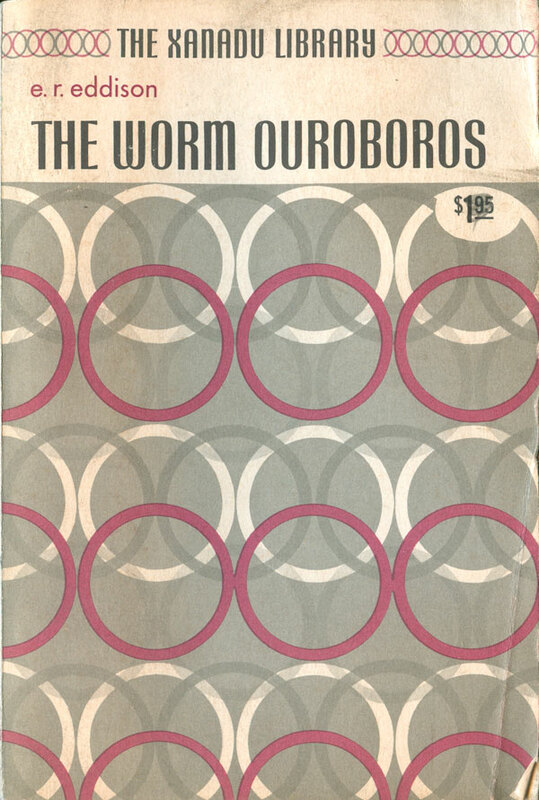 The early books (this one is from 1952) have this very cool repetitive circle pattern on the cover. Unfortunately they all have the same pattern in the same color combination. Later books have pictorial covers, but nothing worth looking at. There is surprisingly little about the Xanadu Library online, where you can seem to find volumes on the minutiae of all things Sci Fi. 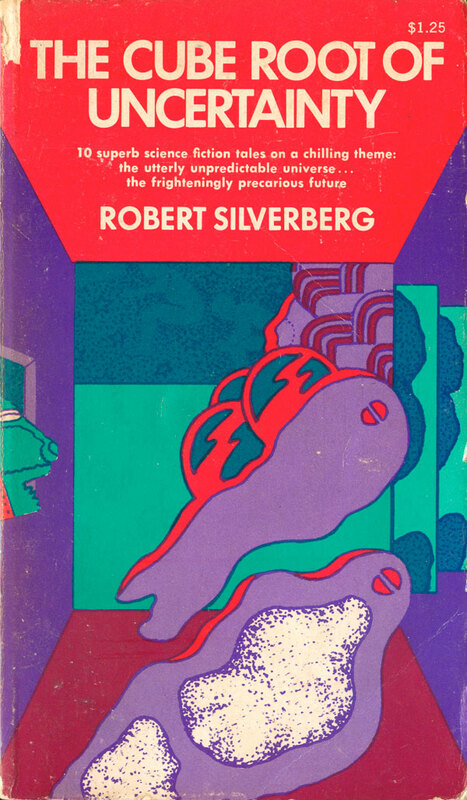 That dead-end plumbed, I stumbled on this copy of Robert Silverberg’s The Cube of Uncertainty (Collier, 1971). 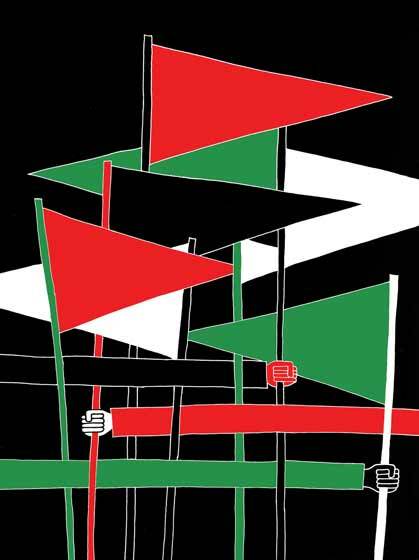 It’s definitely more pop art than abstraction, but I jumped at it anyway. The image smacks of something Seymour Chwast would definitely have spit out, although I don’t think he actually designed it (the cover is unattributed, which was standard for Collier covers at this time). Floating, shaky shapes morph from body to limb, with screw heads at their tops, making them seem as if they are attached in some unfathomable way to the receding fun house mirror in the background. The most striking aspect is the color, with bright red, light purple, teal, and dark aquamarine all competing to become the foreground on the viewer’s eyeballs. It takes a minute to register what the hell is going on within the field of the cover, and even after your eyes adjust, it might not be that much clearer anyhow. This seems a bold choice, and makes the cover compelling to me. I’m also impressed with how the designer tucked a large amount of information into the top section of the cover (the ceiling?). 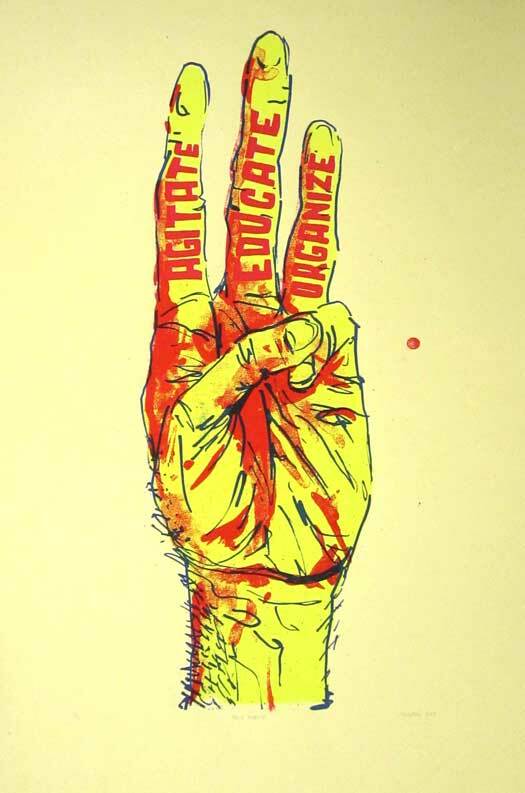 Almost two dozen words and the price are all there, and they don’t really compete with the imagery at all. So after three months on the direct hunt (including trips to Sci Fi specialty stores), and years and years digging through books, these two covers are the only US abstract designs I could find. 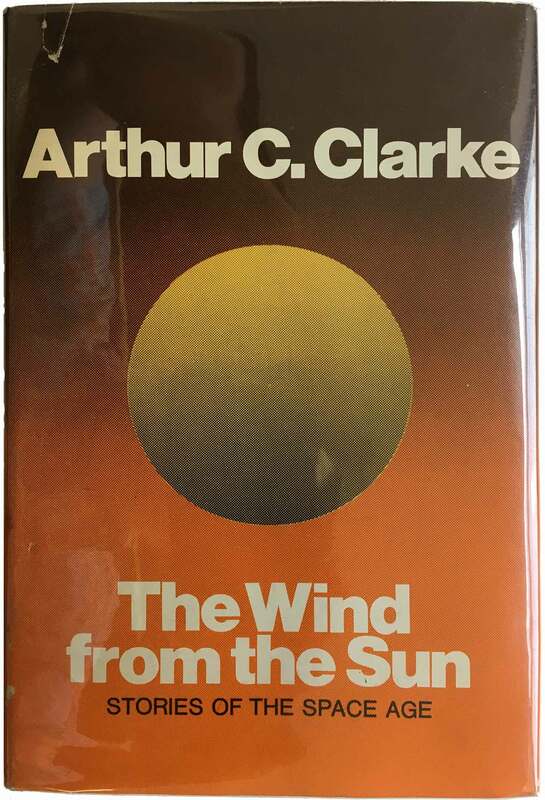 Penguin did a couple great series of abstract Sci Fi covers in the 70s, but they were only available in the UK, Australia, and South Africa, not the US. Maybe I’ll do a feature on those in the future. Meanwhile, I did find a couple great Soviet sci fi books. 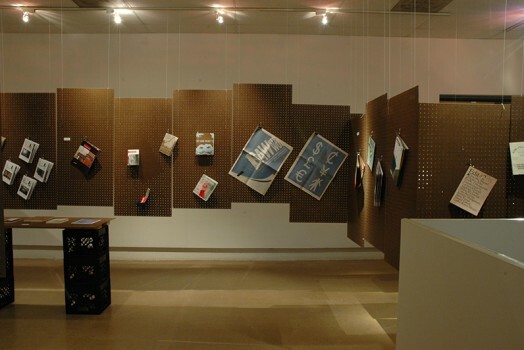 Not books by Soviet writers published in the West (like Roadside Picnic by the Strugatsky Brothers, which has become a huge collector’s item, copies easily selling for $50), but ones published in Moscow to be exported to the Engligh-speaking world. 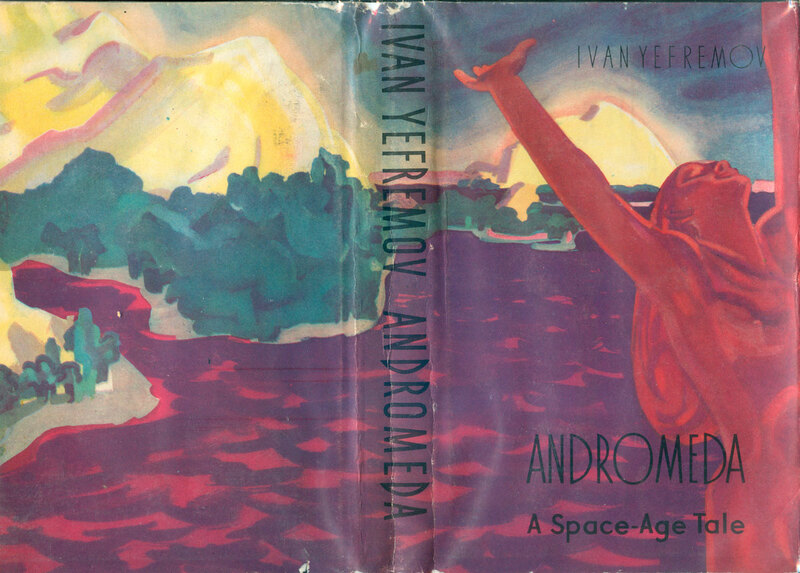 Back in March I found a great hardback edition of Ivan Yefremov’s Andromeda: A Space-Age Tale (Foreign Languages Publishing House, 1959). The cover is super romantic, and has the vibe of 1930s modernist magazines, like Estudios in Spain. The only science fiction-y characteristic is the color scheme, with the red woman exhalting against a Mars red landscape. The tall, Art Nouveau lettering further carries the romantic feel, and is aesthetically strong without interfering with the image. 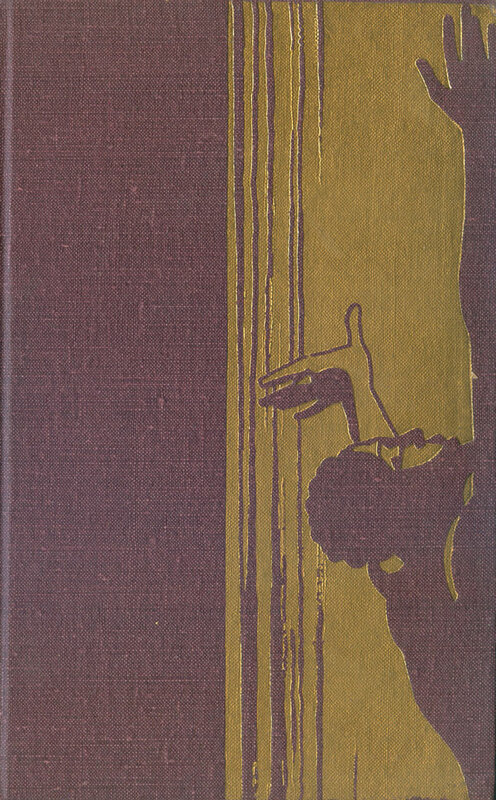 The imprint on the cloth cover is based in the imagery of the dust jacket, but has a very different quality—an almost Rockwell Kent feel. 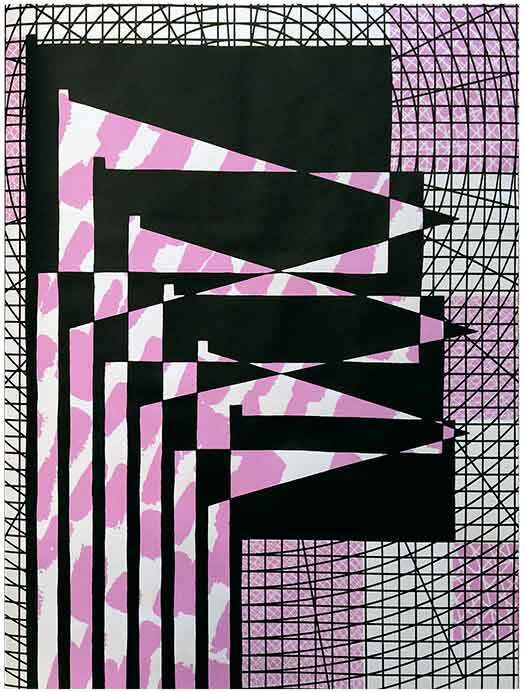 I would think all these disparate modernist aspects would clash, but the whole thing holds together quite well. 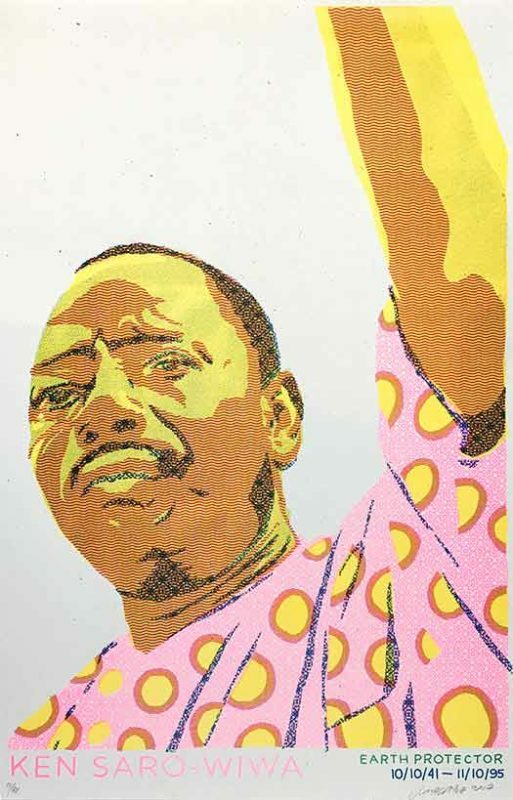 The design is attributed to N. Grishin, which isn’t enough information for me to find anything else about him (or her!). While in South Africa in March I found this nice little paper back of Soviet Sci Fi, also published by Foreign Languages Publishing House. It’s quite small, about a half an inch smaller on both edges than a standard mass market paperback, and it has nice French-fold flaps. There is no listed editor, but the book contains stories by both Yefremov and the Strugatskys mentioned above, as well as a half dozen other authors. 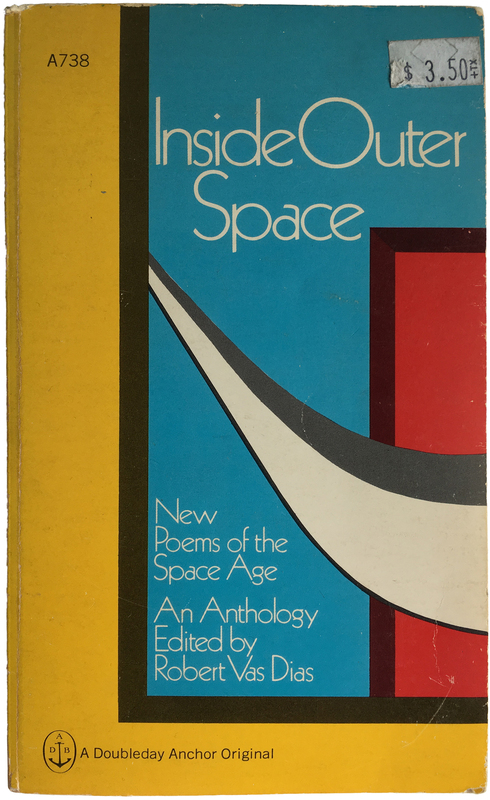 This cover is also designed by N. Grishin, and is much more abstract than the Andromeda cover. I love how it wraps around, and once you open the book and see the full cover all sense of orientation is lost, with the small figures floating in every direction. 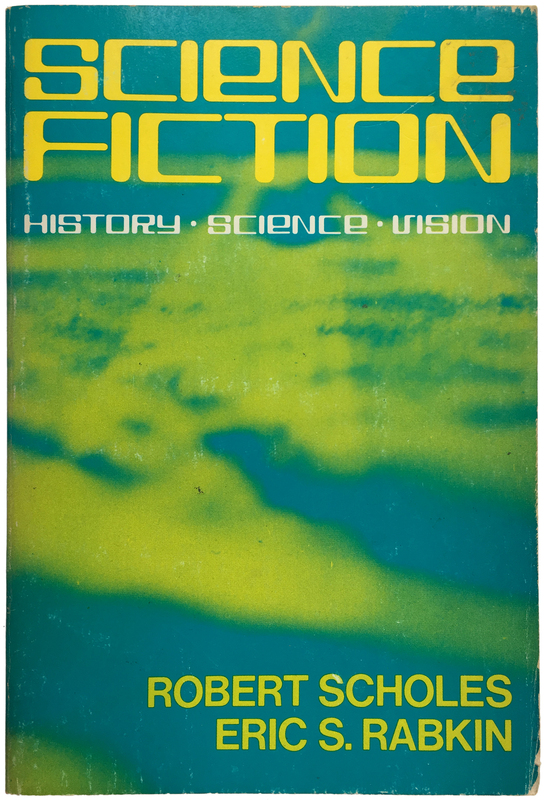 I’m hoping that fellow Justseeds member Alec Dunn might have more info about these Soviet Sci-Fi books, I suspect he’s hiding a small collection of them under his bed!